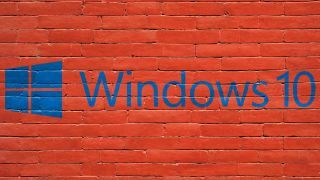 A new study from WinMagic has revealed that organisations are largely unprepared for when support of older versions of Microsoft's Windows will be withdrawn in January 2020. The study was carried out during this year's IP Expo in London when the company surveyed 150 visitors to Europe's largest IT exhibition and conference on their awareness of the need to migrate to Windows 10. WinMagic's study found that nearly a quarter of businesses (23%) have yet to start preparations for the migration to Windows 10 and that 17 per cent were unaware of the topic all together with no idea if preparations within their organisation are even in place. Additionally, one third of respondents (30%) had no idea that support for older versions of Windows would stop in less than 18 months' time. Of the attendees surveyed, only 29 per cent were fairly or very concerned while one third (34%) had no concerns about migrating to Windows 10. Those that are worried about the migration cited security and user data loss as their biggest concerns (28%) while 68 per cent feared the migration process could expose their organisation to a security vulnerability. Other concerns included application management (25%), software and hardware compatibility and user disruption or loss of productivity (18%). When it came to actual migration process, 36 per cent had not considered migration technology as an option and 28 per cent of respondents did not know if their organisation was considering migration technology. Additionally, around one third (33%) did not know if they currently had the correct tools in place to deliver a secure migration.